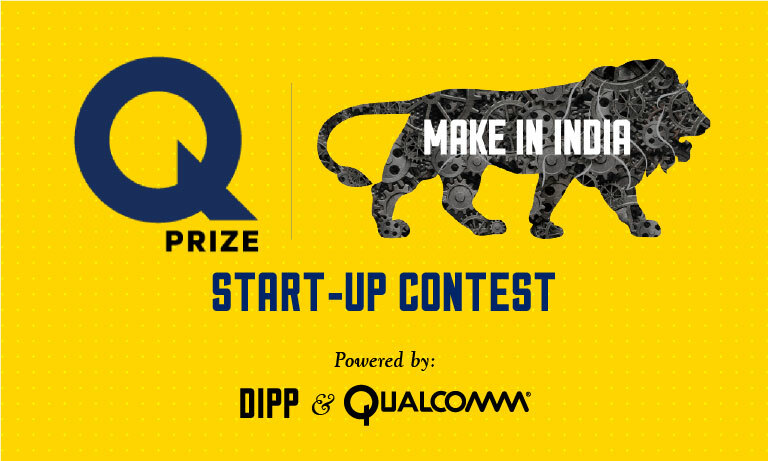 The QPrize™ – Make in India competition shortlisted five companies from over 500 entries and invited them to compete for the prize. This special edition of the contest was held in support of government’s ‘Make in India’ vision and with a goal to catalyze Indian entrepreneurs and start-ups to drive the entire value chain, from innovation to manufacturing, locally. Bangalore-based Ark Robot, the winner of the contest, is a robotic warehouse automation start-up that expedites order processes for companies using technology that harnesses robot capabilities. It aims to revolutionize the ever-expanding logistics and e-commerce market in India. Other contenders that competed for the prize included Threye Interactive, an award-winning interactive tech company venturing in AR/VR and robotics; Cardiac Design Labs develops advanced, affordable cardiac diagnostics to benefit the masses; NexGear Technology is developing Frodo – an intelligent strap-on adventure camera that captures videos and edits raw footage into summarized stories; and TeraFlight Data Labs, a drone data analytics solutions provider for harnessing solar energy. The eminent panel of judges included DIPP Secretary Amitabh Kant, Infosys co-founder Kris Gopalakrishnan, Qualcomm India president Sunil Lalvani, Qualcomm Ventures India vice-president Karthee Madasamy and QikPod CEO Ravi Gururaj. Qualcomm Incorporated is a world leader in 3G, 4G and next-generation wireless technologies. For more than 30 years, Qualcomm ideas and inventions have driven the evolution of digital communications, linking people more closely to information, entertainment and each other. The company has supported the Government’s vision of Make in India by recently announcing the Qualcomm ‘Design in India’ Initiative. Now with the QPrize™ – Make in India contest, it has further incentivized the start-up environment to join this movement towards the goal of local design and manufacturing. Qualcomm Ventures set up base in India in 2007 and has been investing in and nurturing the Indian start-up ecosystem ever since. The QPrize™ contest in 2009 with an aim to identify and recognize the most promising early-stage start-ups in the industry.